We are currently making changes. Please stay tuned and come back often to see our progress. Learn how to score Deer, Bear, and Turkey in Virginia. The official Virginia Big Game Contest Wild Turkey Weight Certification. A repository of pictures over the years since our founding in 1940. 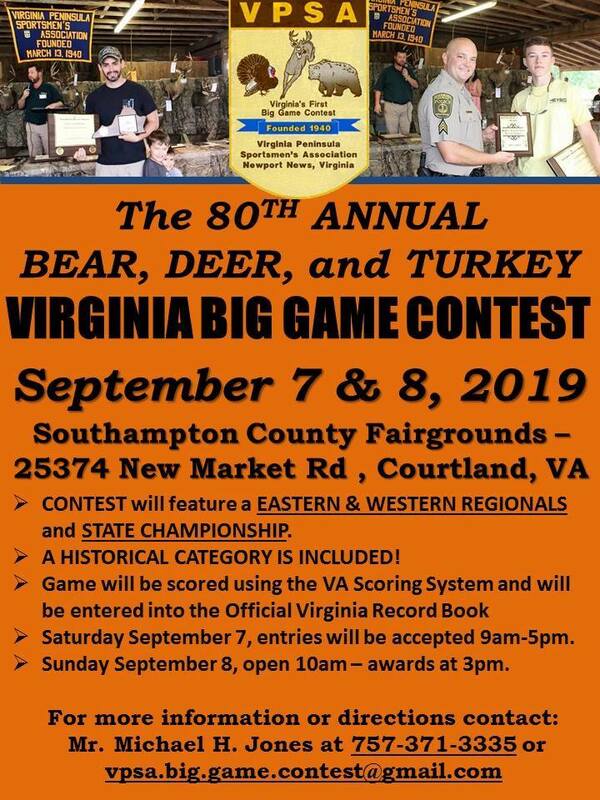 The purpose for this site is to advertise the Virginia Big Game Contest and let the public know a little more about the VPSA. 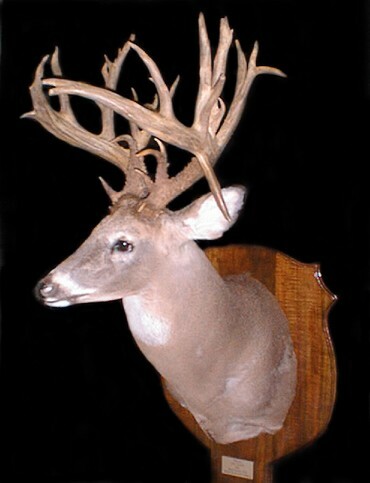 The VPSA founded the Virginia Big Game Contest in 1940. See the "ABOUT VPSA" link for the history of the contest. This contest was developed for the sole purpose of compiling information on Virginia's Big Game for the citizens of the state. The contest is not a money making venture and all money received through admission charges and entry fee's are used to purchase awards, rent the building for the show, insurance, office expenses, etc. Everyone working for the VPSA (officers, directors, committee chairpersons, scorers, judges) are volunteers. We gladly do this for you! We hope that you are able to attend our show in the future and enjoy our website. 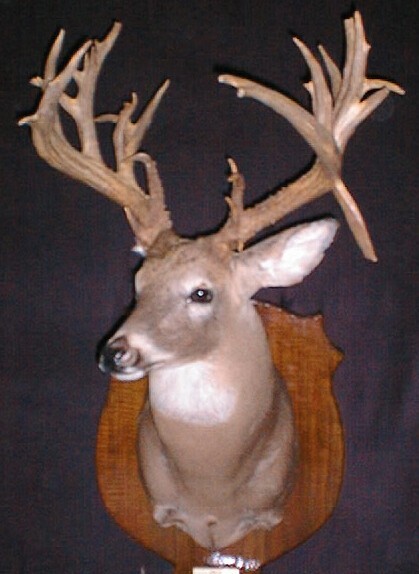 Mr. Smith's Deer was taken with a Muzzleloader during the 1992 Season. The deer is one of the largest deer in the world ever taken with a muzzleloader and currently ranks as the All-Time #1 Deer in Virginia. 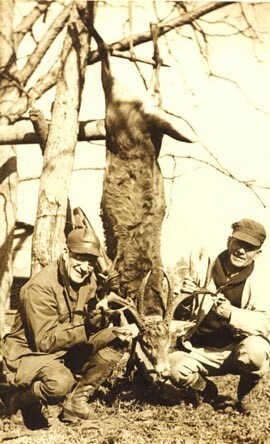 Tom Barclay (on the right) and John D. Williams (on the left) with the famous Barclay Deer taken in 1936. This deer was the winner of Virginia's First Big Game Contest which was held in 1940 and was open to any deer taken in the past. The deer was taken in Surry County and scores 231 5/32 and has18 scoreable points on the Virginia Scoring System. © VPSA, Inc. · All Rights Reserved.